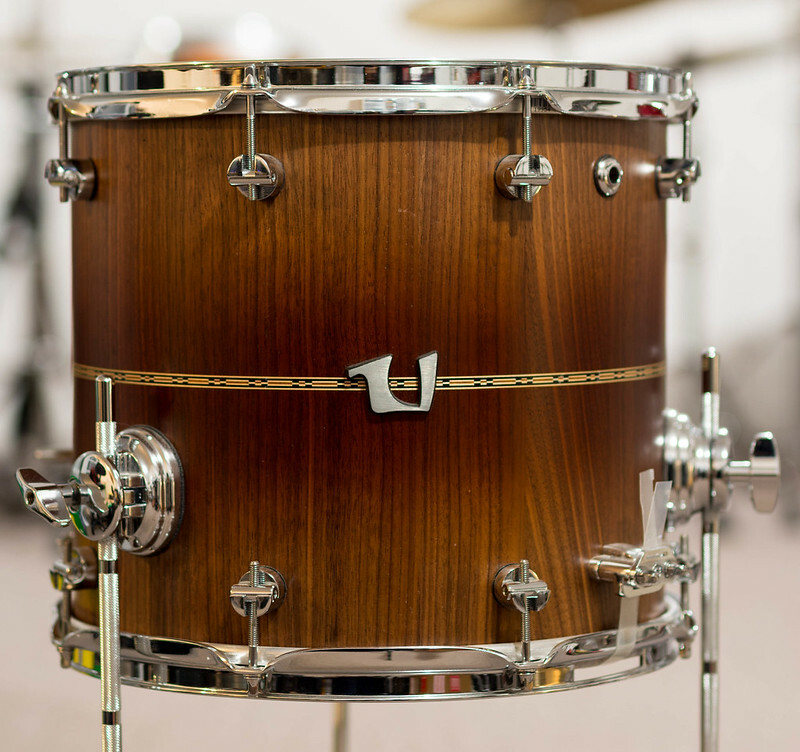 FOR THE LOVE OF STAVE DRUMS! 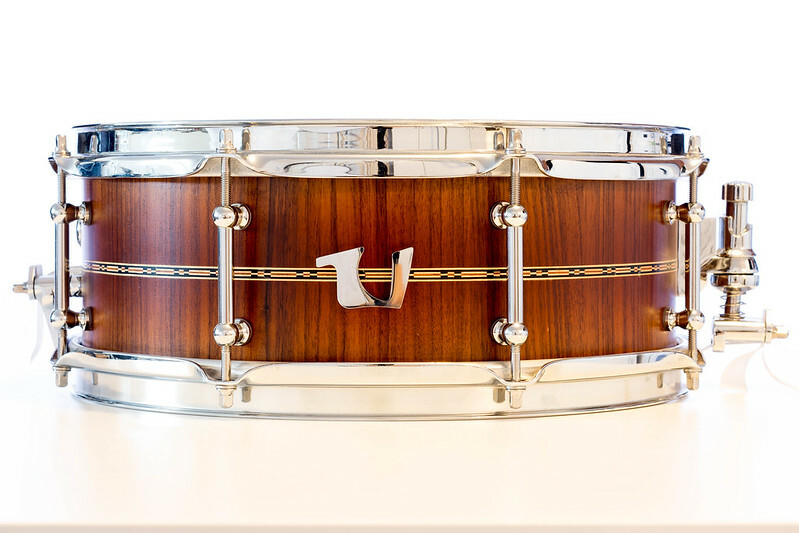 Share those beautiful stave and block snare drums pics! We have several high end stave makers here on DFO, I hope to see many from those builder for sure! 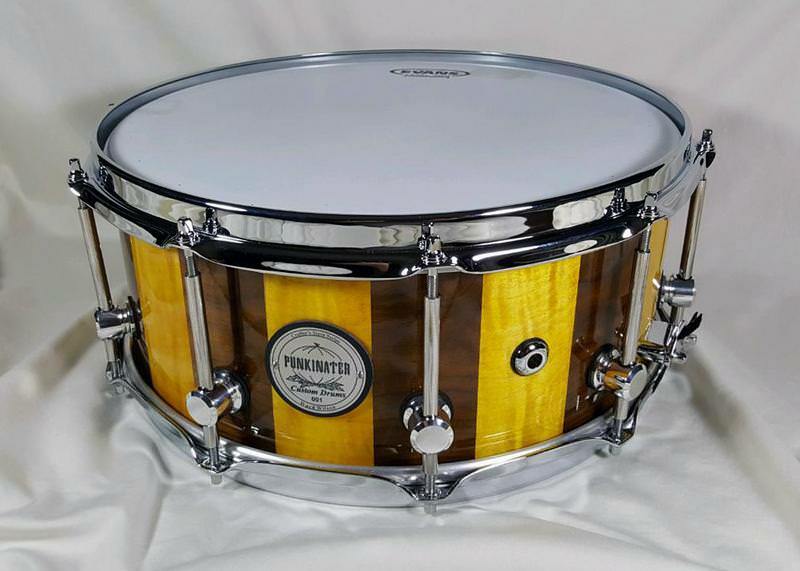 I toss my only example into the mix... A 6X14" of flamed hard maple and black walnut by Punkinater Custom Drums out of Myrtle Beech South Carolina.... The splay is only in my old cell phone pics, none in the actually drum. 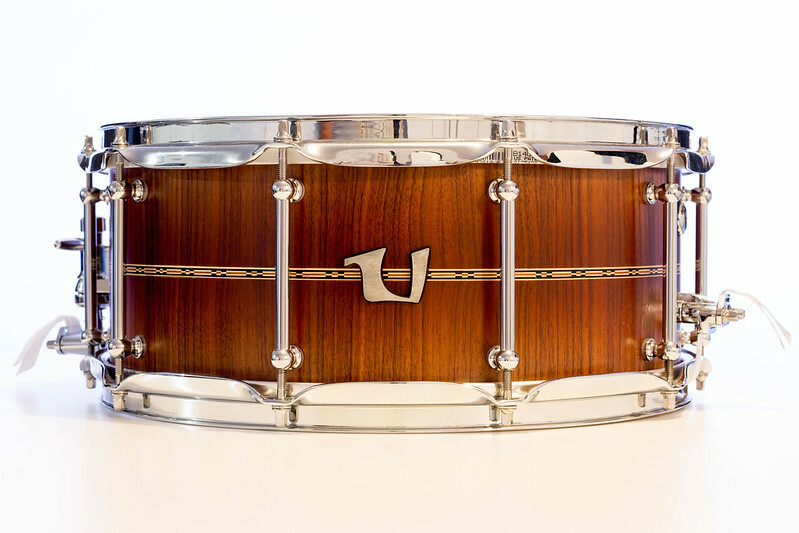 Gretsch 6.5x14 stave Cherry and Oak, 5x14 Zebrano. 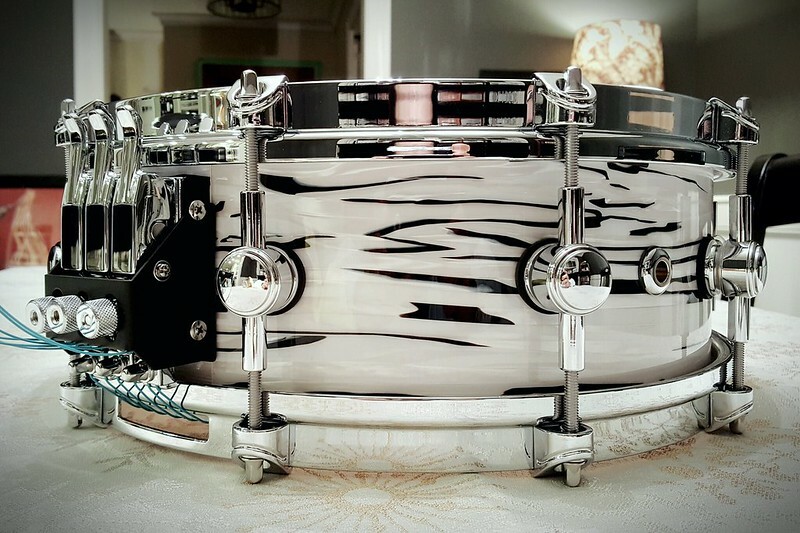 5 x 14 x 3/8" Pecan stave shell wrapped in white and black oyster. 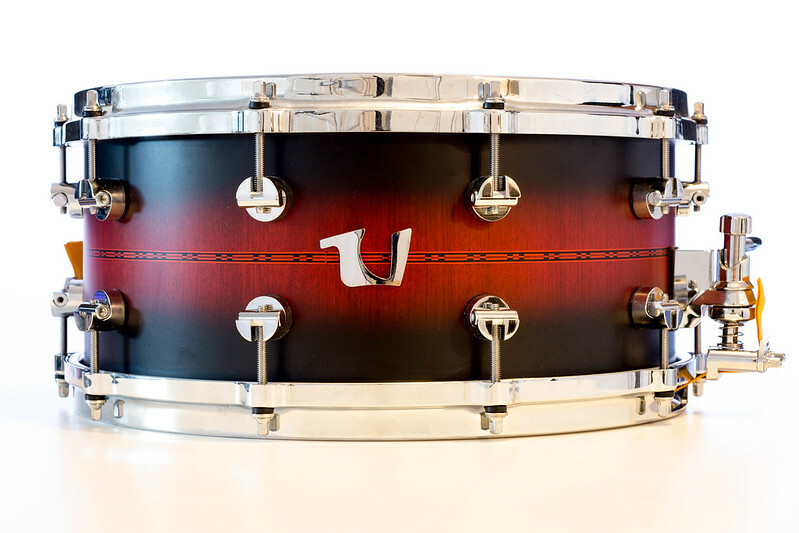 Macacauba with chrome hardware on the left and Bubing/Wenge with black nickel hardware on the right. 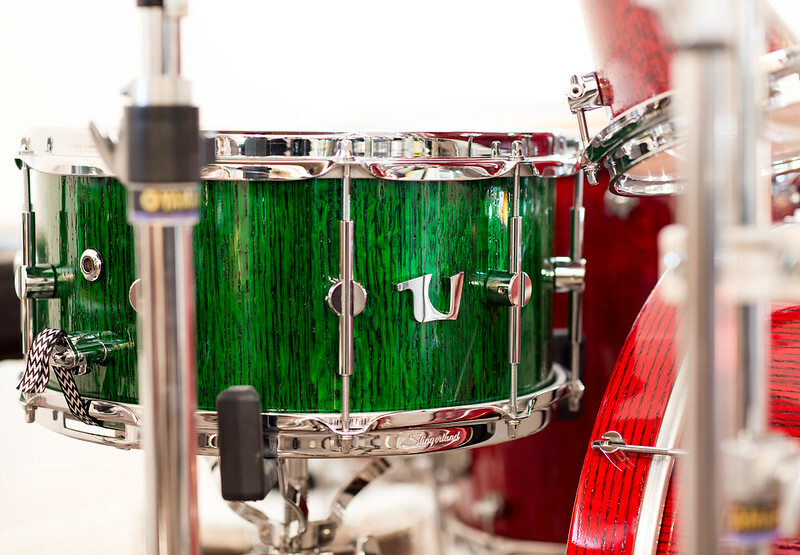 Both 6x14 DaVille shells. I'm not that familiar with stave drums. 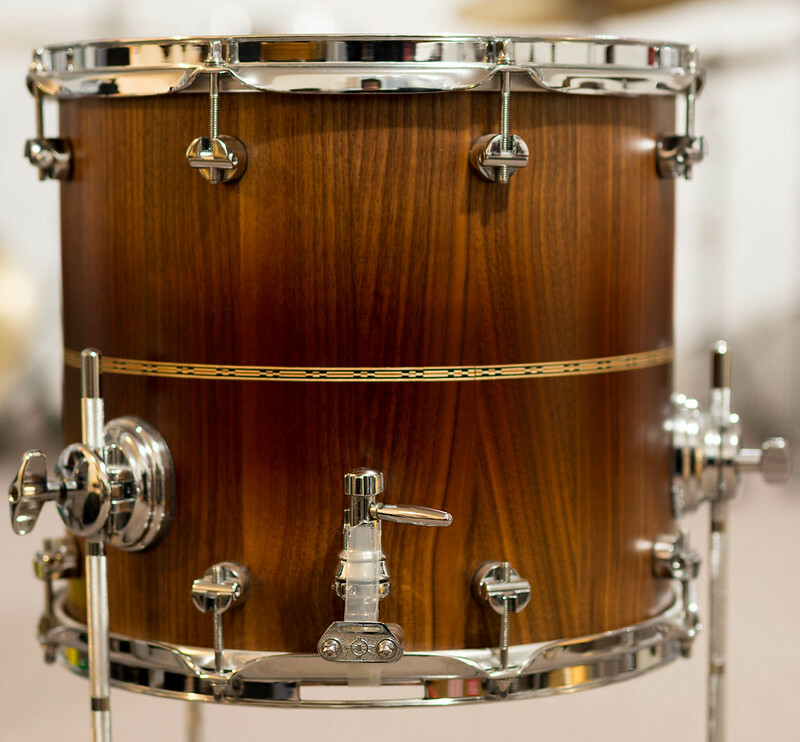 What are the sound characteristics that differ from ply drums? 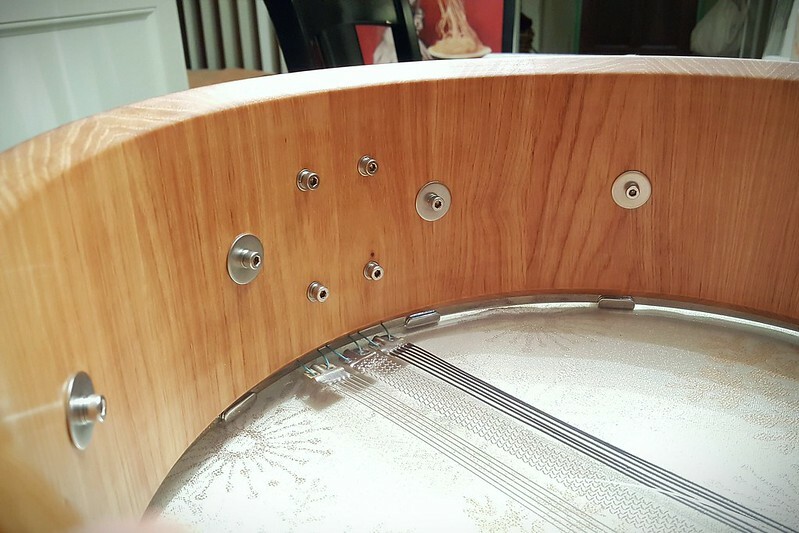 I've never been able to A/B this with two drums of the same size, shell thickness, hardware setup, heads, and tuning, but what I've been told is that stave shells offer a slightly lower fundamental than ply shells of the same thickness because there's no horizontal (bend) stress on the wood. Here's my Carolina Drumworks birdseye maple Gold Series. 1/4" thick staves with milled-in 1/4" reinforcement rings. Total knockout. Maple stave...painted in vintage orange sparkle.